King's Cross – for Regents Park? King’s Cross – alight here for Regent’s Park? 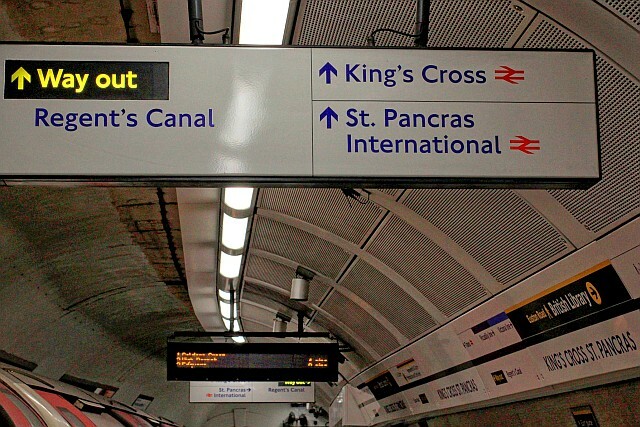 That is what someone had in mind when they designed the new King’s Cross tube station signs! Despite this work being completed in 2009 I never noticed this until I took a close look at one of the stickers the other day. 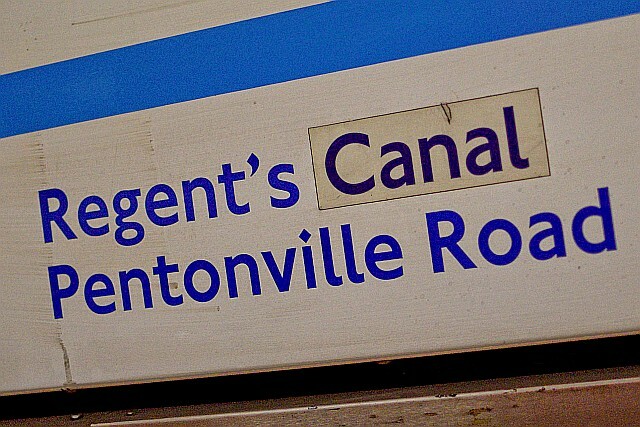 Regent’s Canal sign – to all appearances looks quite normal – no mistakes. 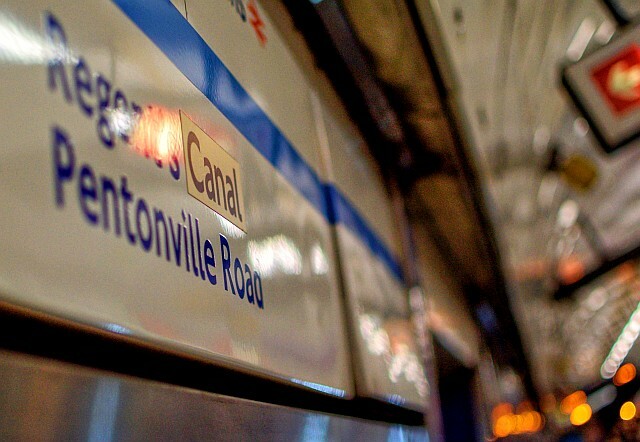 Northern Line platforms with correct signs showing the Regent’s Canal. 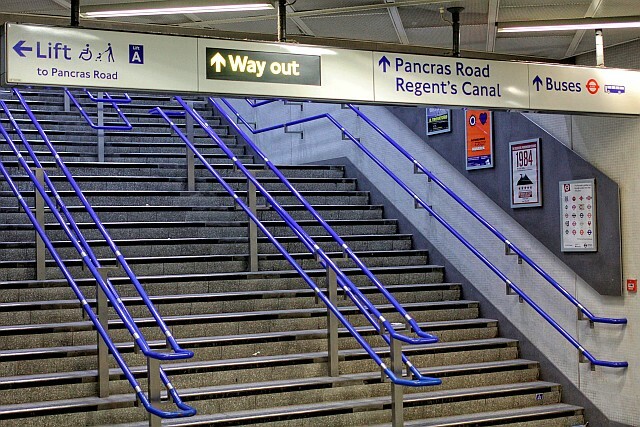 Exit from the new ticket hall at King’s Cross with non-erroneous Regent’s Canal signs! Next Post: Fantastic LT roundel poster!